Welcome to LR Designs. 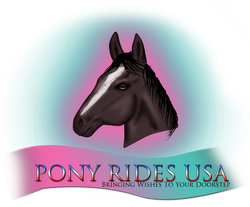 My name is Lauren, and I have done all the logo and design work for PonyRides USA CafePress. If you are looking for a custom design to be made for your event this is why you have been sent here. Something in particular to match your theme, or if you just want something other than what is offered on PonyRides USA CafePress. Please feel free to look at any information on my website, there are many examples of my work from the past, and information about myself. To have a custom design made will cost $10.00 additional to the price of the t-shirt/item's you want done. 1. Email me at LRWebDesign@yahoo.com but "PonyRides USA Custom" in the subject like, or feel free to call me at 720-936-8146; if I do not answer, leave a message and I will get back to you as soon as possible. 2. Describe the design/theme your party/event is for and what you're looking for to have custom made. If you could even do a rough sketch of an idea and email it to myself, or even picture text message would be great. This will give me an idea of what you are looking for. 3. Please send your payment through pay pal to Lauren_Russell_Vet@yahoo.com as a Personal Payment. I will not start the design until this payment is received. 4. Once the design is finished in my editing program, I will send you the proof to approve. you will only get 1 full re-design, before another charge is added. Once approved of the proof I will give you a list of all available items that the item can be put on. Choose as many individual items that you want the design to be on. 5. I will set up a special section in the CafePress shop with your Name/Event Name on the title for you to purchase your items though. These will be the same priced items as the rest of our store has just will have your custom design on them. 6. When all items have been purchased, please let me know and I will hide the section. I will keep the section hidden until 1 week after the party/event date is set in case you would like to order more items. After that, the section will be deleted; however the design will be kept. 7. If you have any questions please email or call me.